Ahmedabad and its Sufi Music lovers are in for a treat as “Ruhaniyat” – the 12th All India Sufi and Mystic Music Festival is coming to town. Ahmedabad is one of the 9 cities where this Sufi festival is all set to spread its magic with mesmerizing performances by artists from other countries like Tannouras, the Dancing Dervishes of Egypt, Polyphony with an inbuilt ‘Voice of Angels’ by singers from Bulgaria, a never-before Instrumental Ensemble of Sufiana Maqams by musicians of Egypt and Rajasthan, Whirling Dervishes of Turkey and power packed Sufi Qawwali by qawwals from Pakistan! 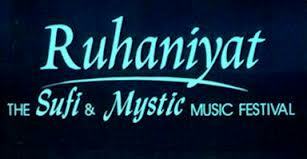 Organized for the 1st time in Ahmedabad, Banyan Trees Ruhaniyat is India`s biggest Sufi and Mystic Music festival travelling across the country for the past ten years. 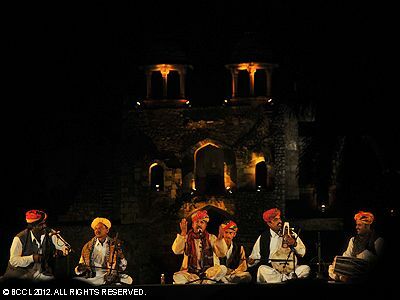 Besides presenting the best of classical and folk artistes of the country and beyond, Banyan Tree has been actively involved in discovering unheard of forms and talents from remote villages, fakirs, mystics, Sufi qawwals from all over the country and beyond and presenting them to different parts of the country. Almost 2500 such artistes have been featured in Ruhaniyat till date. The Ruhaniyat festival started in the year 2001 is the brainchild of Mahesh Babu and Nandini Mahesh, the Directors of Banyan Tree Events. Their goal is to promote Sufi and Mystic music and has thus resulted into a prestigious event across cities including Mumbai, Delhi, Kolkata, Hyderabad, Chennai, Pune and Bengaluru. This soulful evening in Ahmedabad is scheduled on Sunday, 8th February 2013 at Vastrapur Amphitheatre from 7.00 PM onwards. You can purchase tickets from Bookmyshow.com or any Crossword Stores across the city.